Johnny One Feather – The Home of My "Big Things"
This is Johnny One Feather, immortalized as an immense advertising symbol. 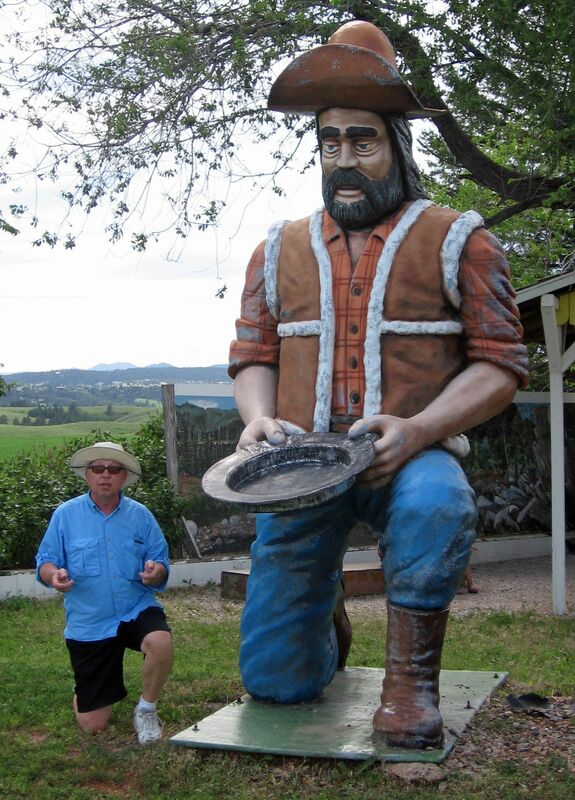 Used to draw attention to the the pan-for-gold attraction behind his statue. I didn’t go in to try my luck panning for gold, seemed like a tourist trap, where they salt the stream and gravel with some gold. Maybe I’m just too cynical. By the way he is located right next to a big Muffler Man. You can park in one spot and visit both.